Hello you, i'm John. Can i have some skin? No, i don't mean a Hi-5, i mean, can you actually give me some of your skin so that i can fill in the missing parts of my hands? Go on, it's only skin! 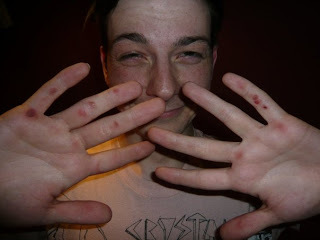 Drums stole my skin! Give me skin!